Covery is an iPad app developed byFivetoapp. If you want an app that can make your Facebook Timeline Covers look amazing, Covery is the right tool for the job. 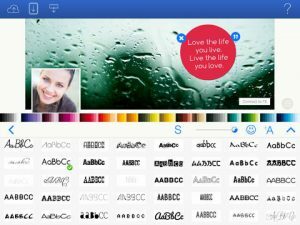 If you want to express your creativity or give your Facebook page a more professional and polished look, Covery is definitely worth trying out! 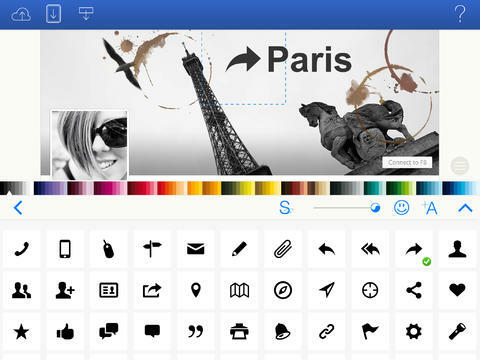 This app has a huge array of options, and an interface that is as beautiful as it is effortless. You bring your ideas to the table, and Covery provides pretty much everything else you’re gonna need. 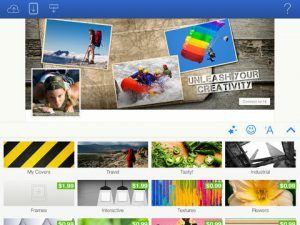 Covery is stacked with a huge array of photos, images, fun fonts, quotes, and even visual effects. 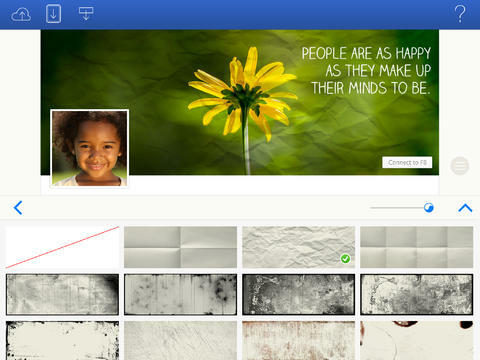 There’s a virtual endless list of combinations you can create to build a stunning cover image. While Covery is a free app, some of the content in the app may cost you additional cash to unlock. There are a ton of free images you start off with, including some really gorgeous industrial and architectural themes, as well as food and travel photography. Once you’ve picked a background image, you can add textures, colorful fonts, or helpful icons. The interface makes it so simple to experiment with different looks, and I was really pleased with how quickly this app worked. It didn’t crash at all, even though it was tested on an iPad 2 that’s getting on in years. Covery is the first app I’ve used to make a Facebook cover image, and it was well-suited to the task. The app is a must for Facebook power users. Overall, Covery is a really nice app. The user experience is great, and it surprised me how quickly I was drawn into the simple act of making a Facebook timeline cover image. Want to see Covery in action? Check out this video on YouTube! Coveryrequires iOS 6.0 or later. Compatible with iPad.